Why bother having standard Terms & Conditions of business? Save for a few types of transactions, such as disposition of land, no written contract needs to be in place to legally bind the contracting parties. As soon as you make an offer to another person to provide goods, services or digital content in exchange for consideration (usually money) and your offer is accepted, a legal contract is formed. Then why bother having standard terms and conditions (T&Cs) of business? Imagine you put your heart and soul into developing a product to your client’s specification and are ready to deliver it but your client has changed their mind and claims that they have a right to refuse delivery in certain circumstances. You can prove otherwise by producing email or verbal evidence, but it might be difficult at best and impossible at worst. Imagine you agreed to provide services on your client’s T&Cs, they are not happy with your performance and threaten to take you to court, you check the terms and it turns out they are subject to the exclusive law and jurisdiction of… say Belgium. We could go on forever. When things go well, the legal contract is merely a formality, but when things go wrong, your standard T&Cs will be vital to determining the respective parties’ rights and liabilities, and so the solution. T&Cs are evidence of the rules under which you provide your goods, services or digital content. They remove the scope for dispute as to what was intended between you and your client, and so minimise the chance of a legal challenge or the costs of handling one. Contract negotiations tend to focus on key commercial terms, but the devil is in the detail. Your standard T&Cs would be drafted to protect your interests. When your client accepts them, they agree to all the detailed terms contained in them including those that had never been specifically discussed between you. Flexibility is important, but certainty is crucial to business planning and managing risk. Standard T&Cs give you piece of mind over commercial and legal matters (such as delivery, payment terms, risk, ownership, liability, exclusivity, consequences of breach), and allow you to focus on what your business is really about. Standard T&Cs are not suitable in all circumstances. You will still need a bespoke contract for an important one-off deal with a client. However, when it comes to repetitive transactions, standard T&Cs will save you time and expense developing or reviewing new terms every time you make a sale. Statutory law implies a number of terms into contracts for the sale and supply of goods, services and digital content. While some of them cannot be changed (mainly when dealing with consumers), you can exclude or limit the operation of others in your T&Cs (especially in business to business relations). Standard T&Cs may help you to comply with statutory or industry regulations. For example, in case of online trading, they may satisfy the requirement to provide customers with certain information which must be drawn to customers’ attention prior to concluding a sale. There is more to T&Cs than just being a sword and shield to your interests. T&Cs provide a clear and consistent basis for trading, which will give reassurance to your clients and encourage their custom. Your T&Cs will also set out customers’ rights, which they can rely on to protect their interests. Once you have a perfect set of T&Cs, you must ensure they are legally binding on your client. It will not suffice to publish them on your website or print them at the back of your invoice. You need to bring them to your client’s attention before they accept your offer, for example, by making an express reference to your T&Cs in your written contract, your purchase order, or on your online sales form. Standard T&Cs facilitate trading and protect your business. If you need advice in relation to putting in place or updating your online or offline T&Cs, please contact Antony Hall on 0191 281 6151 or ahall@mincoffs.co.uk. 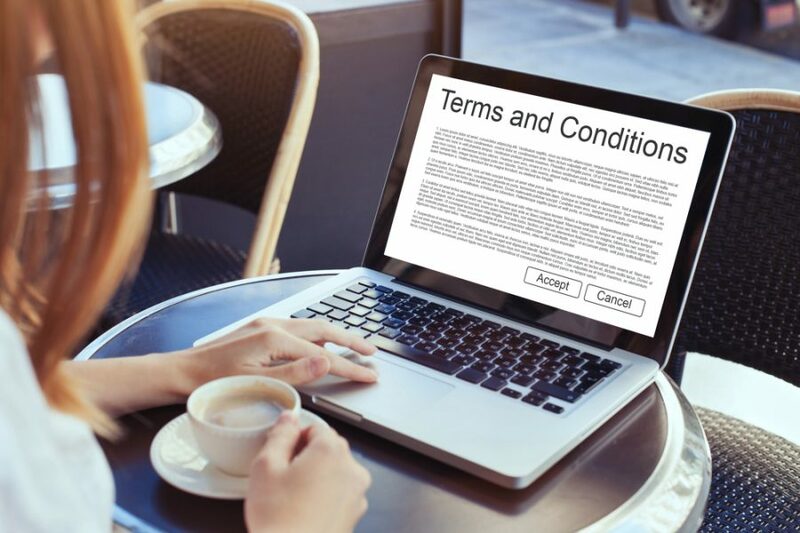 Home › News › Why bother having standard Terms & Conditions of business?